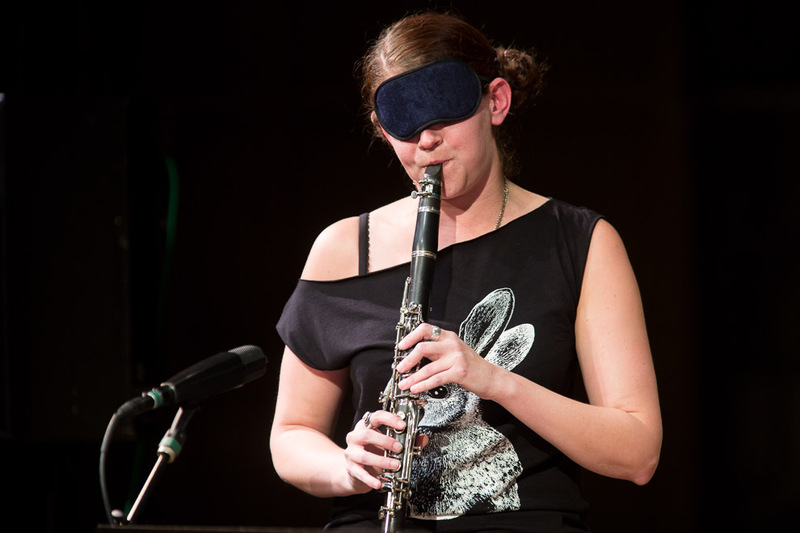 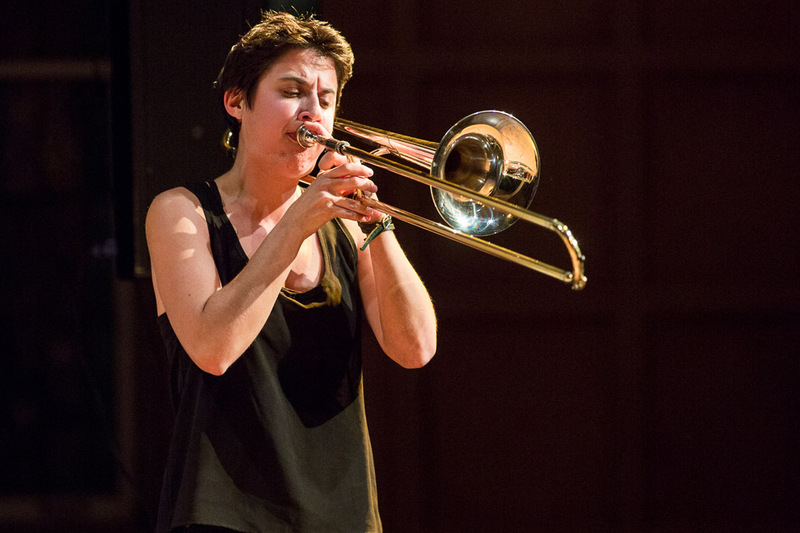 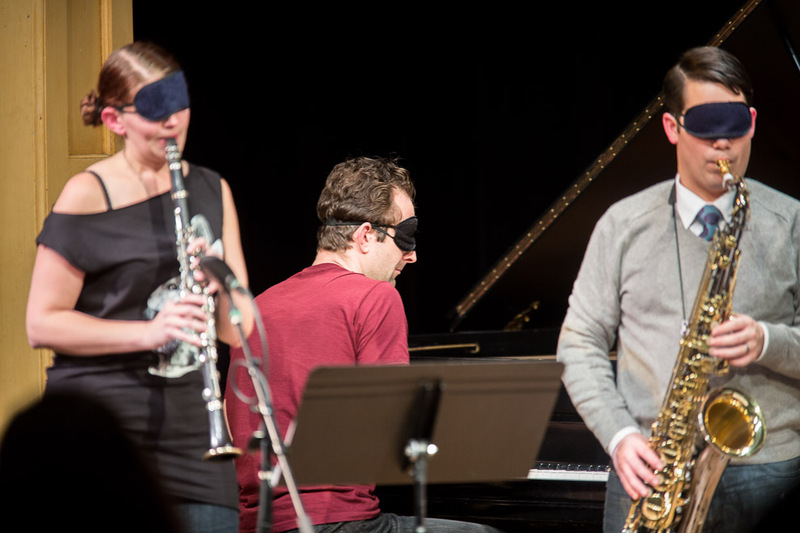 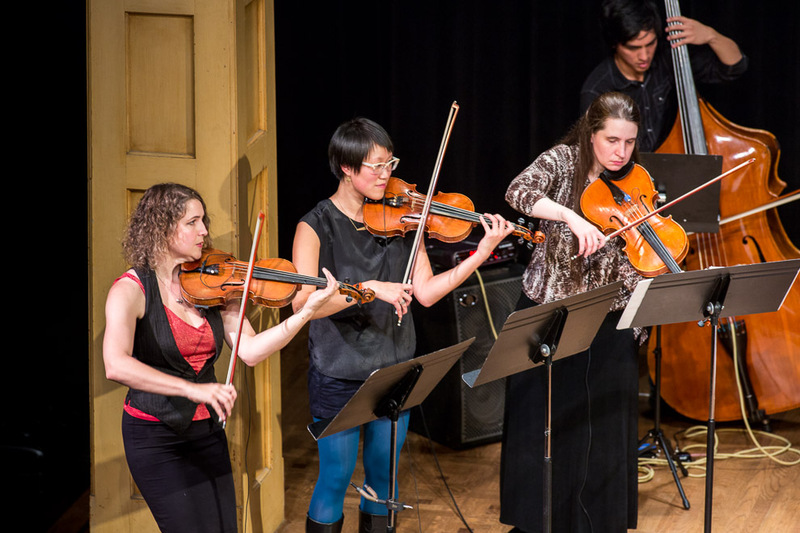 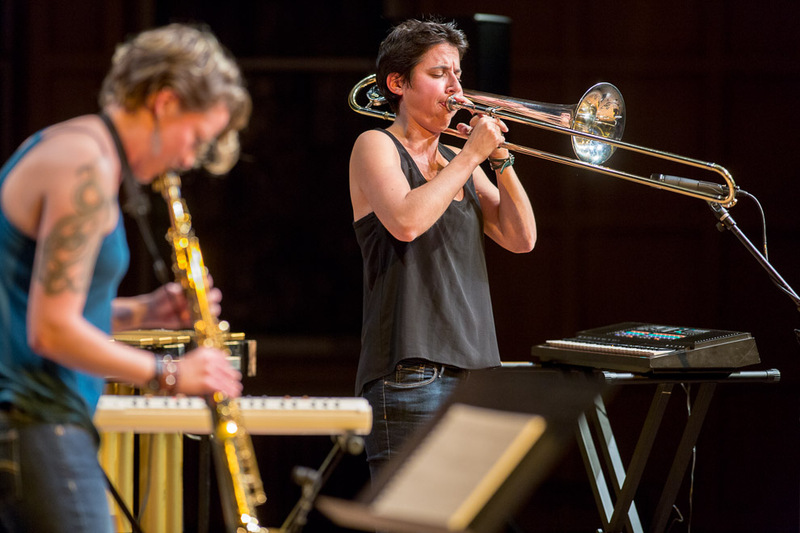 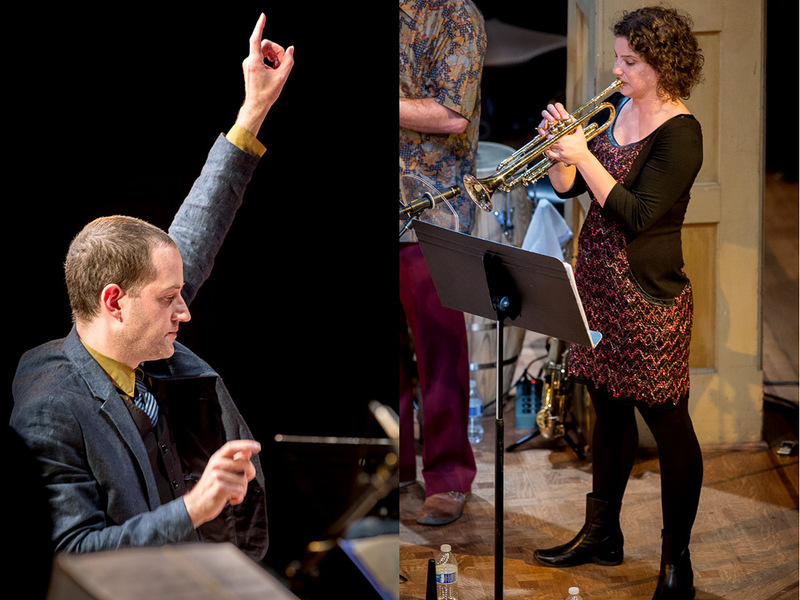 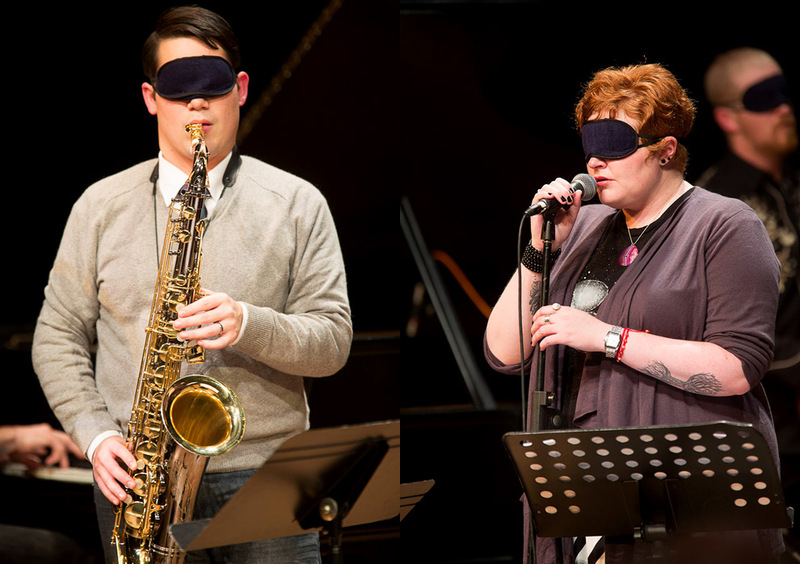 Last Saturday night at the Chapel Performance Space, Earshot Jazz Festival presented two distinctive composers in Seattle, clarinetist Beth Fleenor and trumpeter Samantha Boshnack, to showcase their works for large ensembles in one of the city’s finest concert rooms. 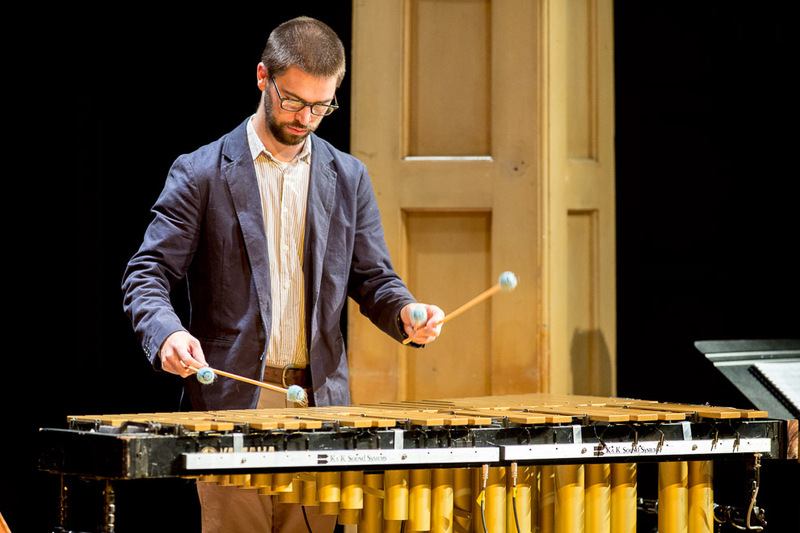 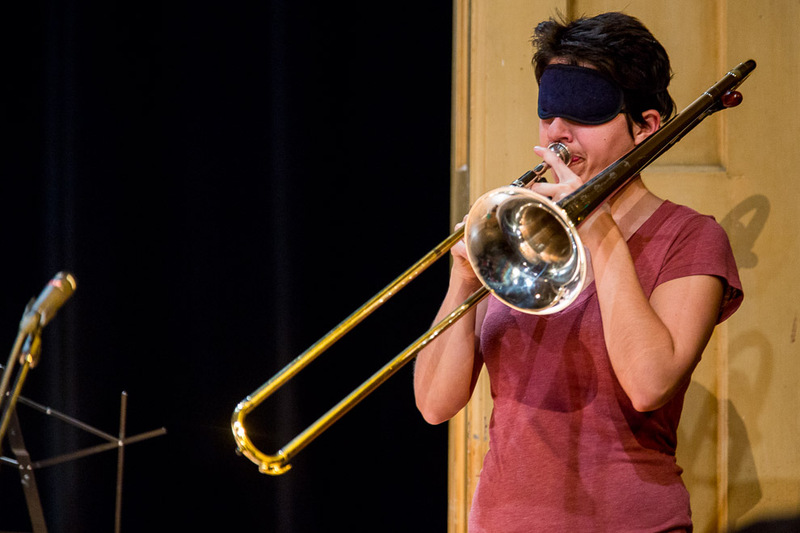 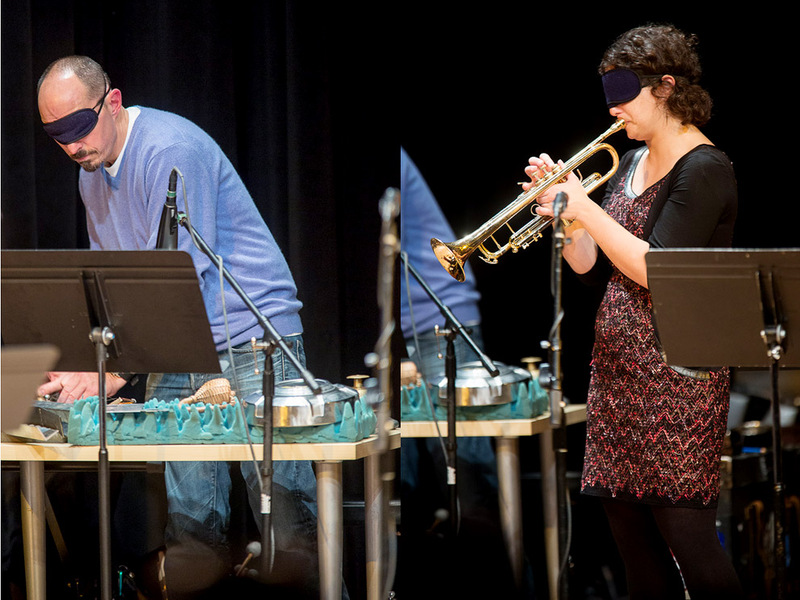 Fleenor’s Workshop Ensemble (WE) presents exploratory scores grounded in Fleenor’s 20 Etudes for Blindfolded Musicians; WE also performs conduction, sonic meditation and Fleenor’s cross-stitched graphic scores. 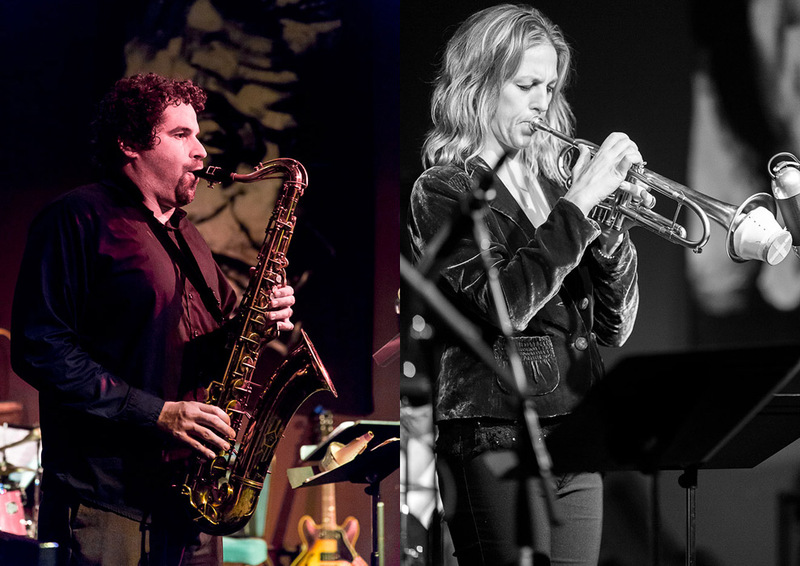 WE are Michele Khazak (voice), Kate Olson, Brian Bermudez, Chris Credit (reeds), Boshnack (trumpet), Naomi Siegel (trombone), Michael Owcharuk (piano), Paul Kemmish, Evan Flory-Barnes (bass), Campbell (percussion/horn), Adam Kozie (drums) and Fleenor (clarinet, voice, composition). 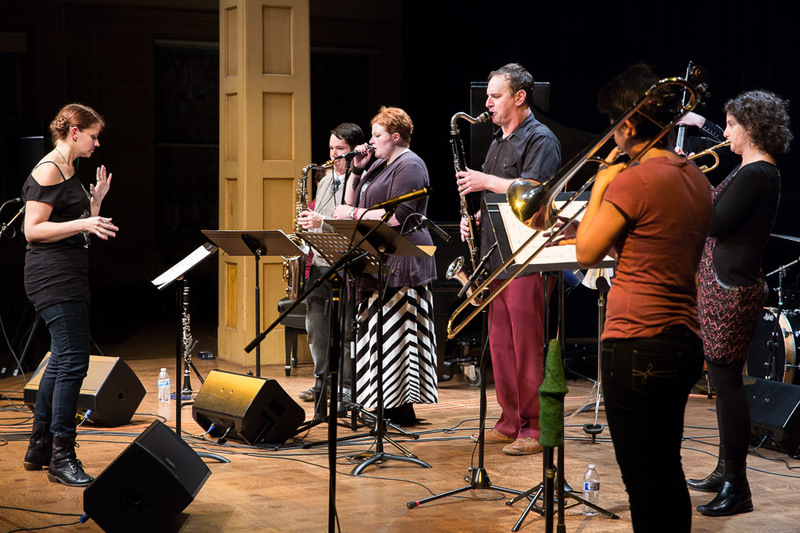 features Alex Guy, Paris Hurley, Jherek Bischoff, members of Jim Knapp and Eyvind Kang’s Scrape, members of the SRJO, bassist Tim Carey and drummer Greg Campbell. 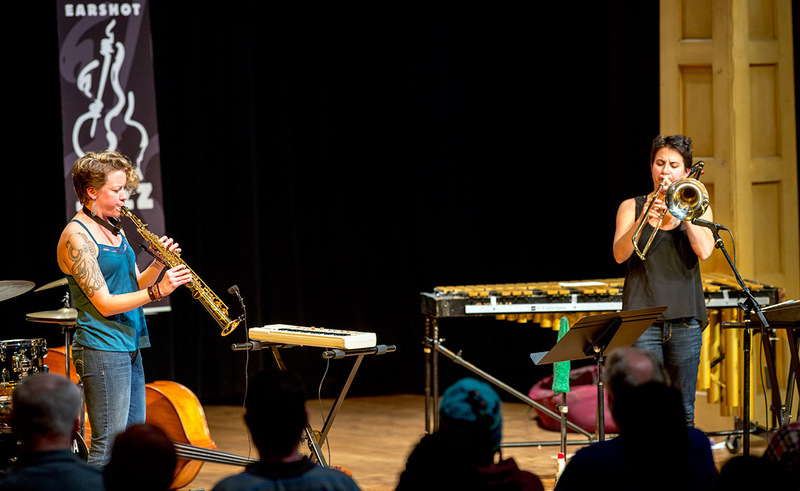 Friday night at Poncho Hall, Cornish College, the Earshot Jazz Festival presented Nicole Mitchell and her Ice Crystal Quartet. 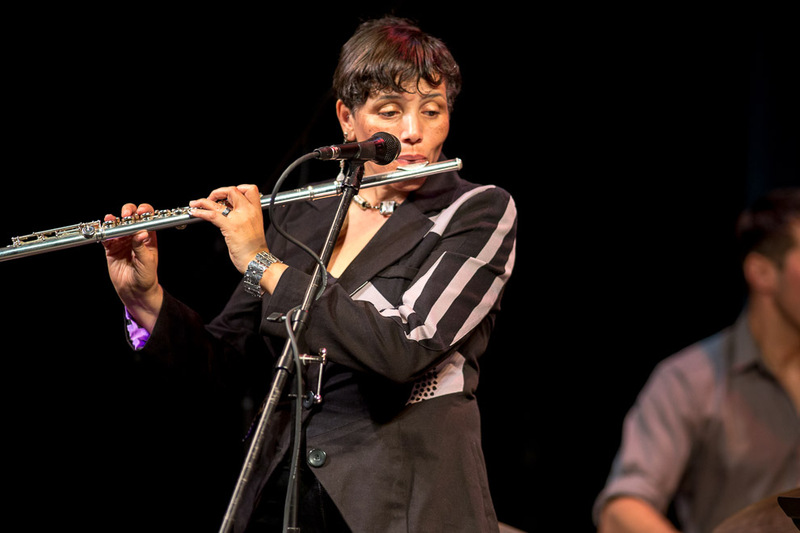 Nicole Mitchell, “the most important jazz flutist of her generation” (All About Jazz), plays in the spirit of the Association for the Advancement of Creative Musicians: she draws gospel, African percussion, and other elements into a thrilling extension of jazz. 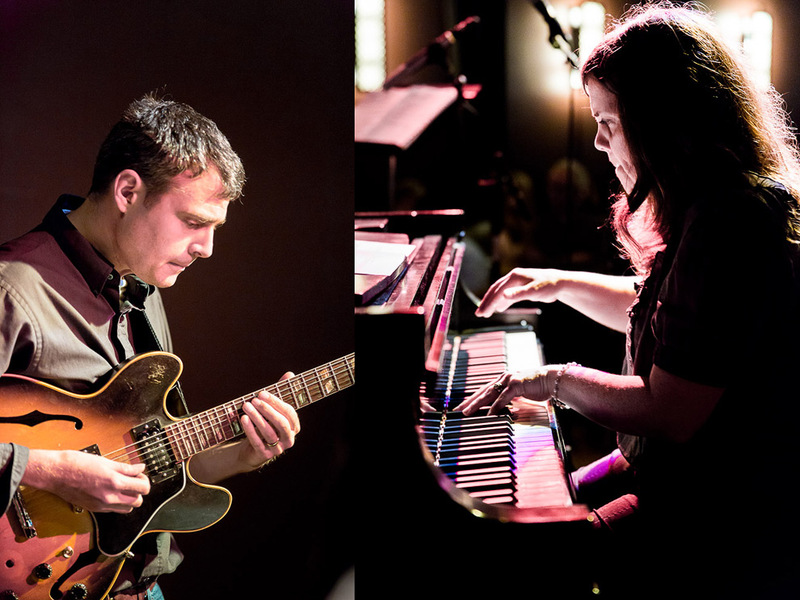 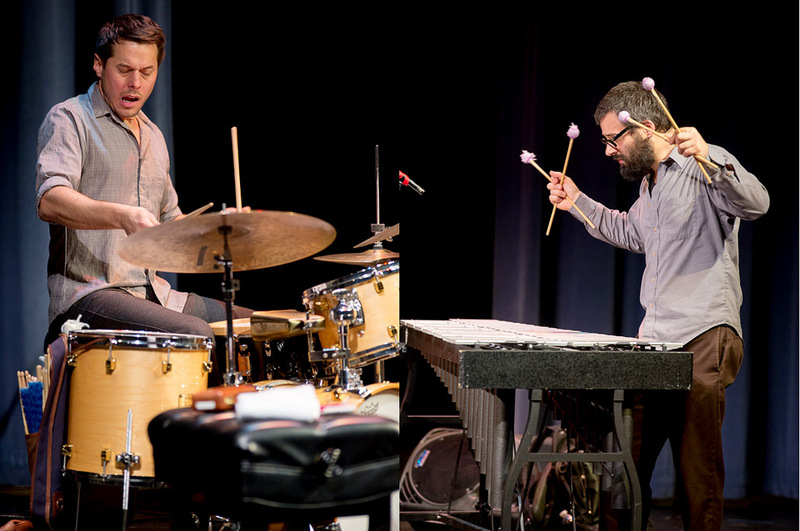 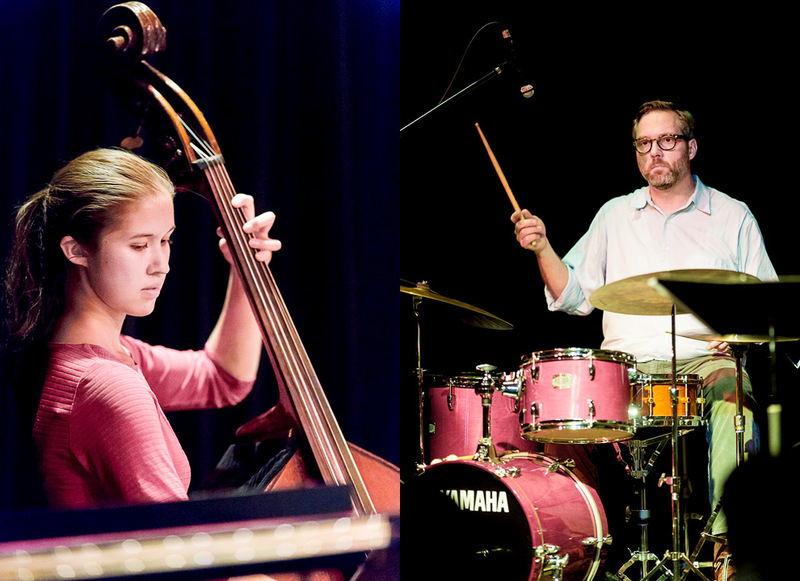 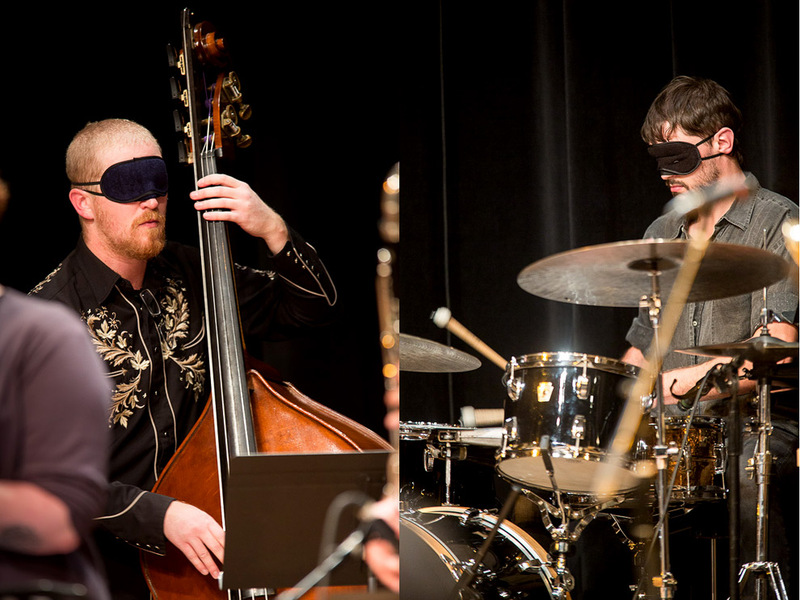 Jason Adasiewicz (vibes), Joshua Abrams (bass) and Frank Rosaly (drums) join her at the PONCHO Concert Hall. 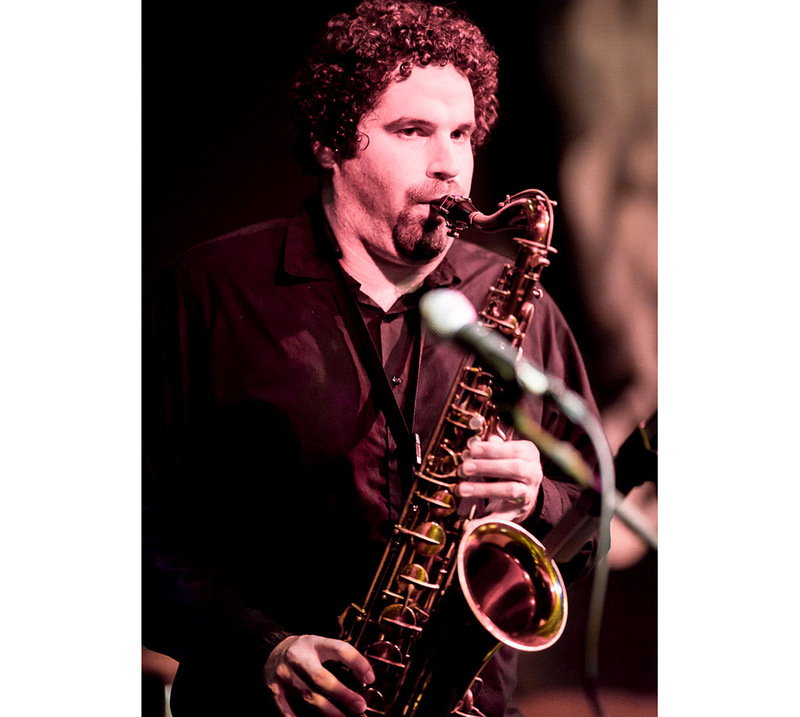 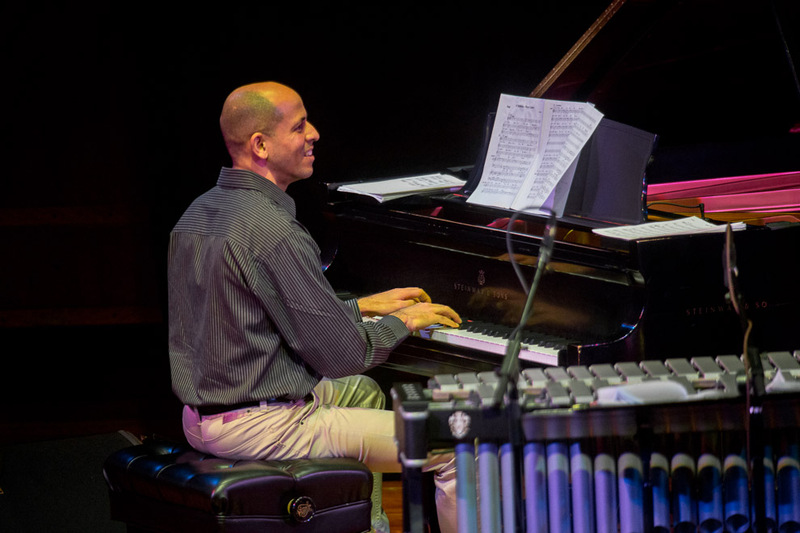 Founder of the critically acclaimed Black Earth Ensemble and Black Earth Strings, Mitchell is a composer whose works reach across sound worlds to create a fascinating synthesis of postmodern jazz. 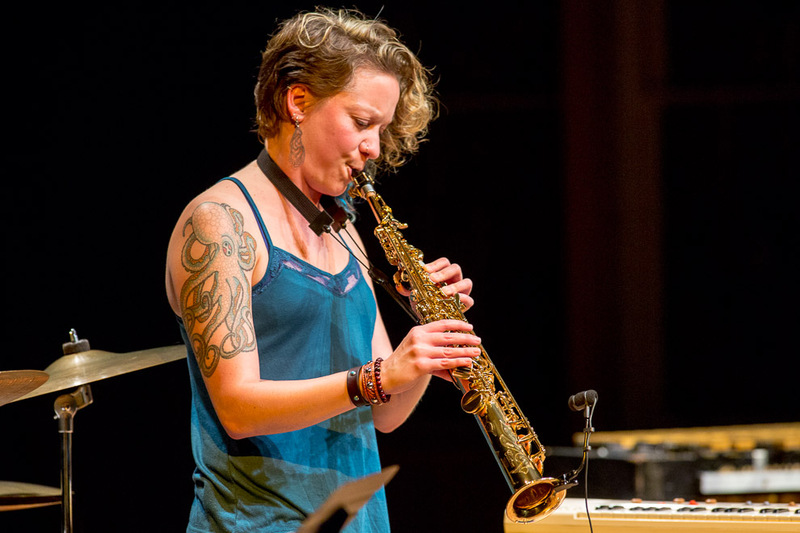 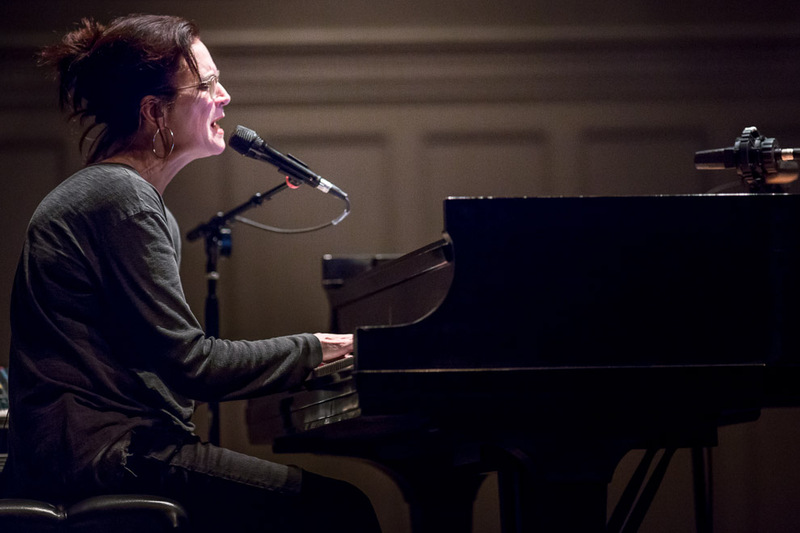 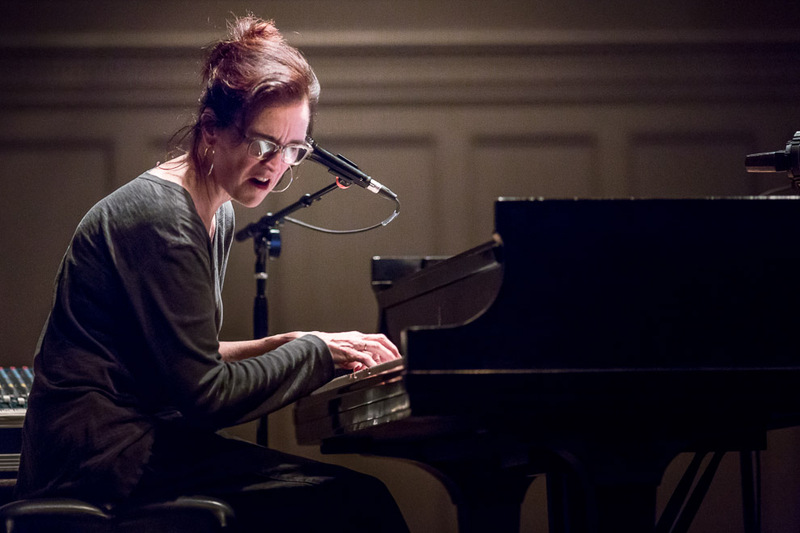 She has performed with creative luminaries such as George Lewis, Miya Masaoka, Lori Freedman and James Newton, and has also worked on projects with Anthony Braxton, Ed Wilkerson, David Boykin and Rob Mazurek. 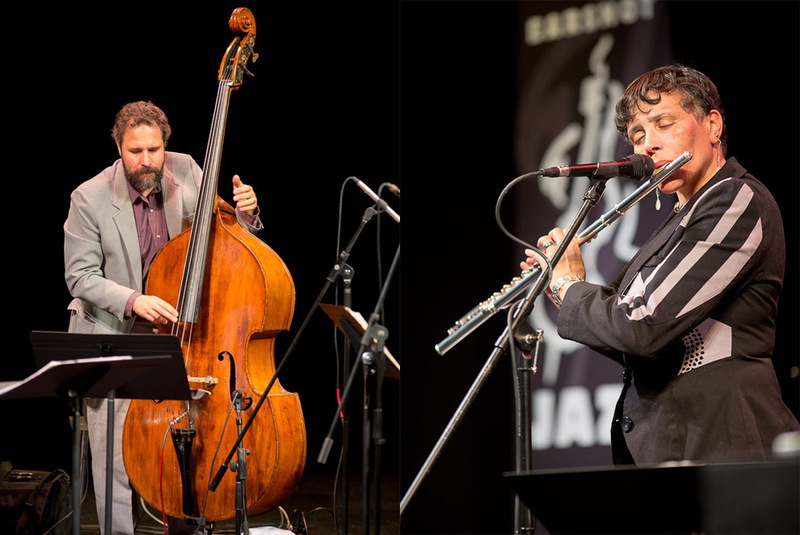 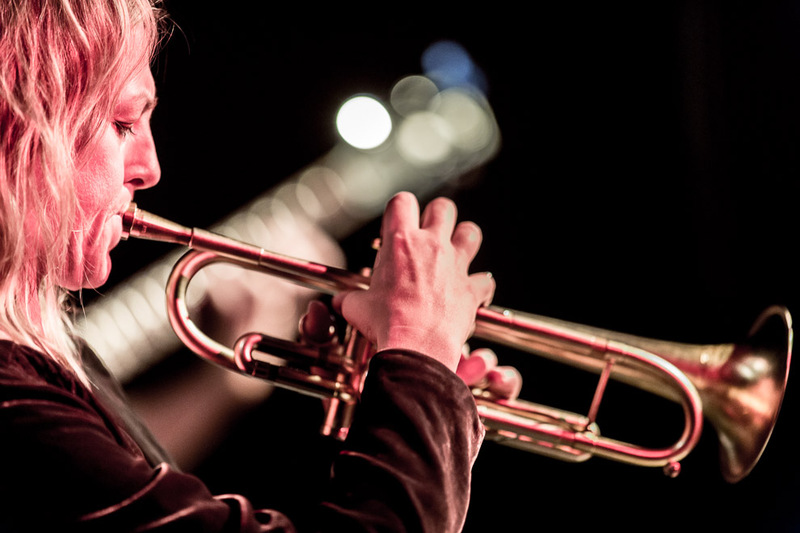 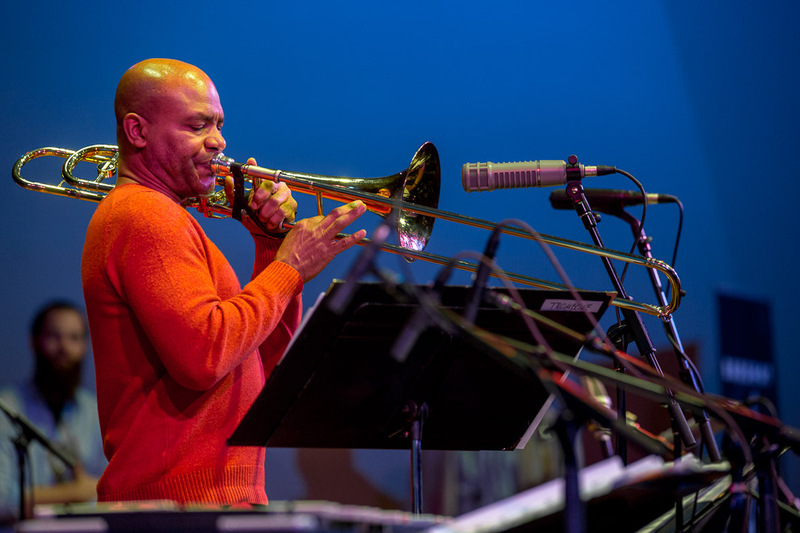 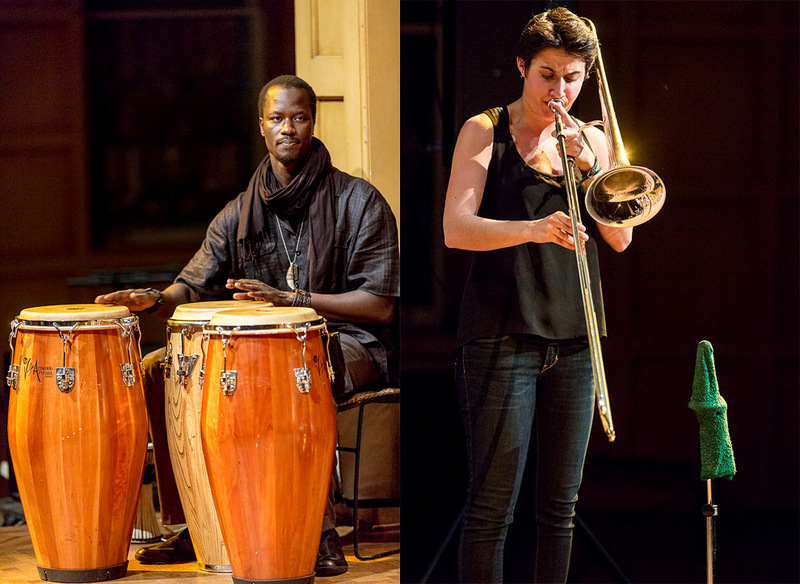 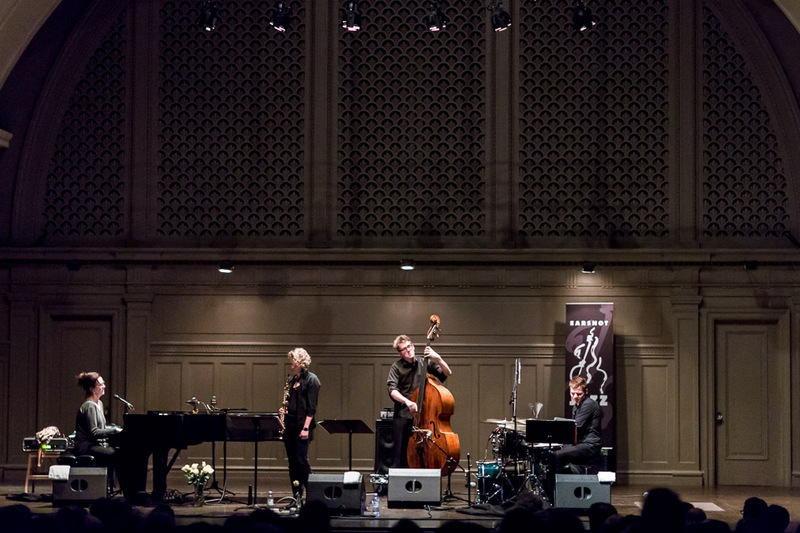 Tuesday night Earshot Jazz Festival presented the SFJAZZ Collective at Benaroya Hall. 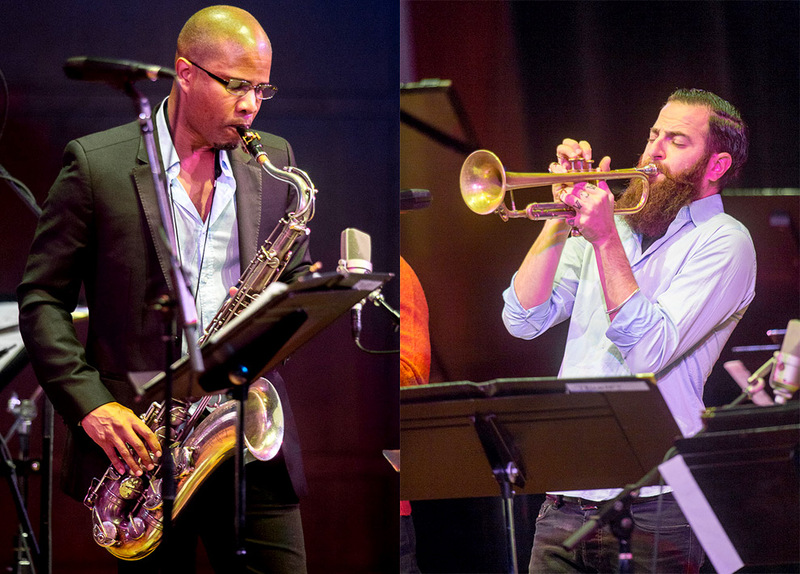 Stunning virtuosity and drive from the most spectacular all-star ensemble in jazz – with Miguel Zenon (alto sax), David Sanchez (tenor sax), Avishai Cohen (trumpet), Robin Eubanks (trombone), Warren Wolf (vibes), Edward Simon (piano), Matt Penman (bass) and Obed Calvaire (drums). 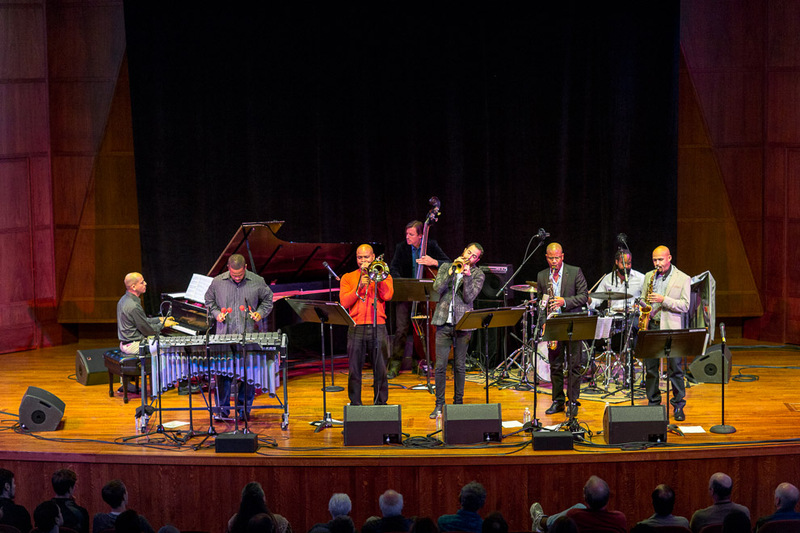 This fall, the award-winning SFJAZZ Collective celebrates its 10th anniversary by highlighting their greatest arrangements and original compositions – tributes to Ornette Coleman, John Coltrane, Herbie Hancock, Thelonious Monk, Wayne Shorter, McCoy Tyner, Horace Silver, Stevie Wonder and Chick Corea. 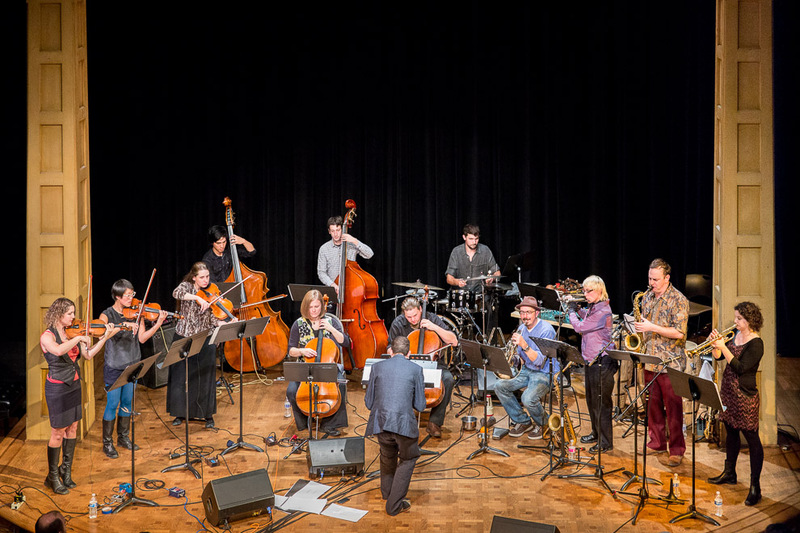 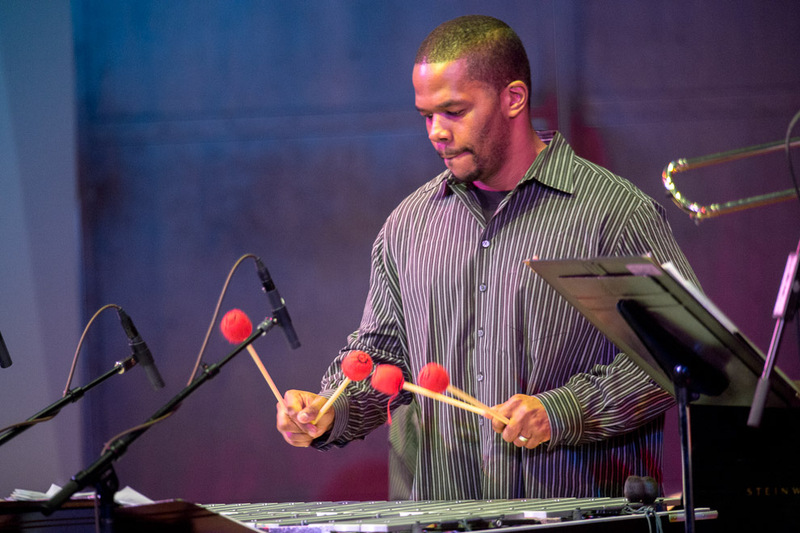 For each of the past ten years, the collective has convened annually to perform new arrangements of compositions by a modern music master and new compositions by members, commissioned by SFJAZZ. 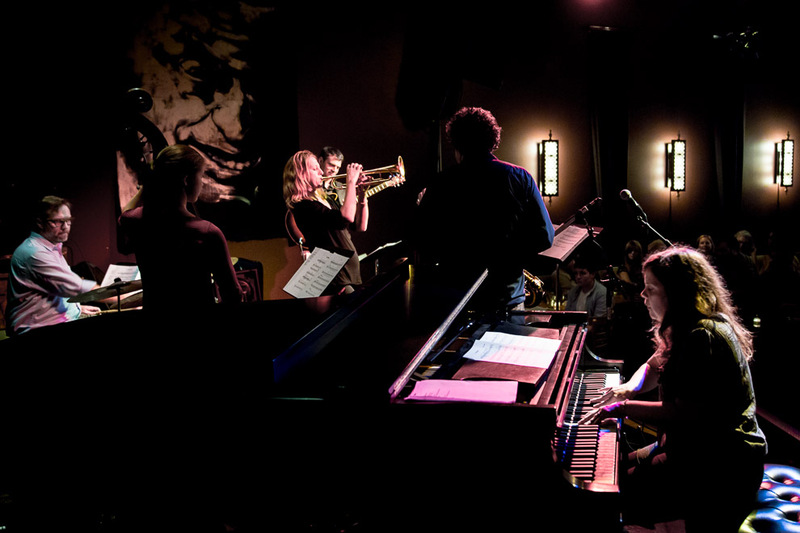 Through this pioneering approach, honoring jazz history while championing the music’s up-to-the-minute directions, the collective embodies the commitment to jazz as a living, ever-relevant art form. 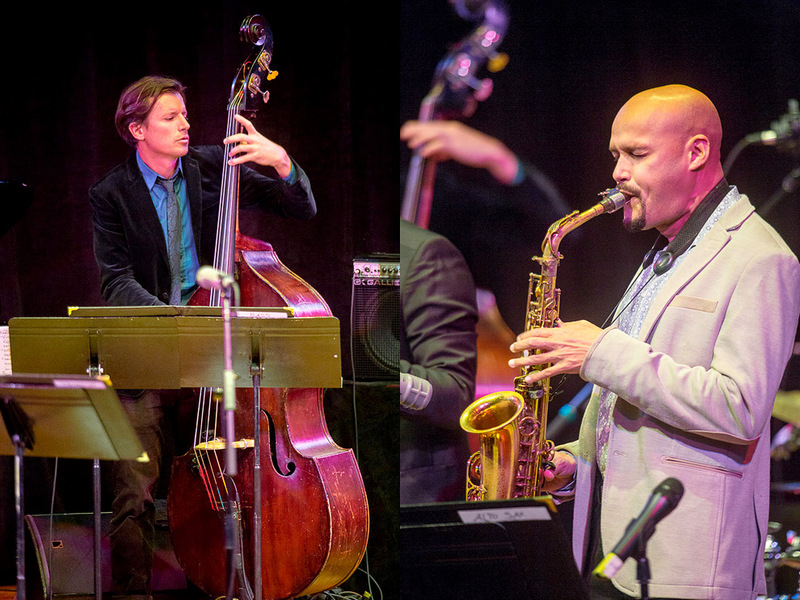 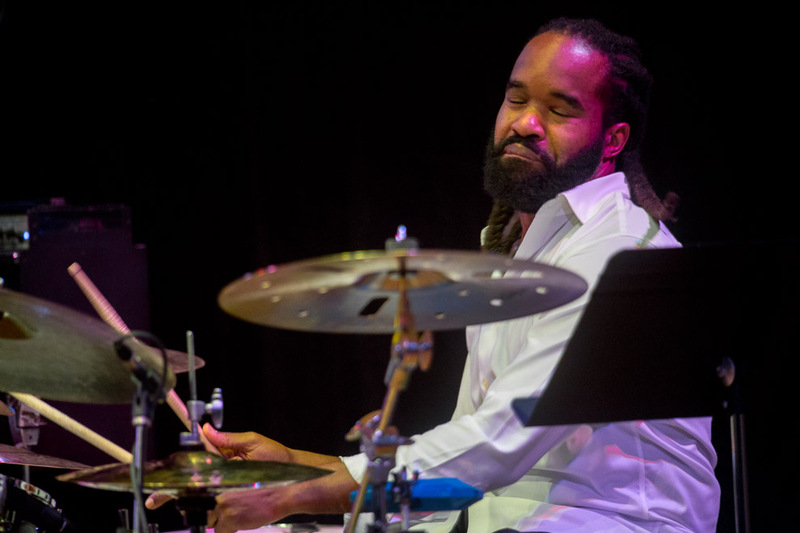 As soloists, composers and bandleaders, collective members represent what’s happening now in jazz, and they demonstrate that jazz is truly an international language – with members from Puerto Rico, Baltimore, New York, Venezuela, Israel and New Zealand. 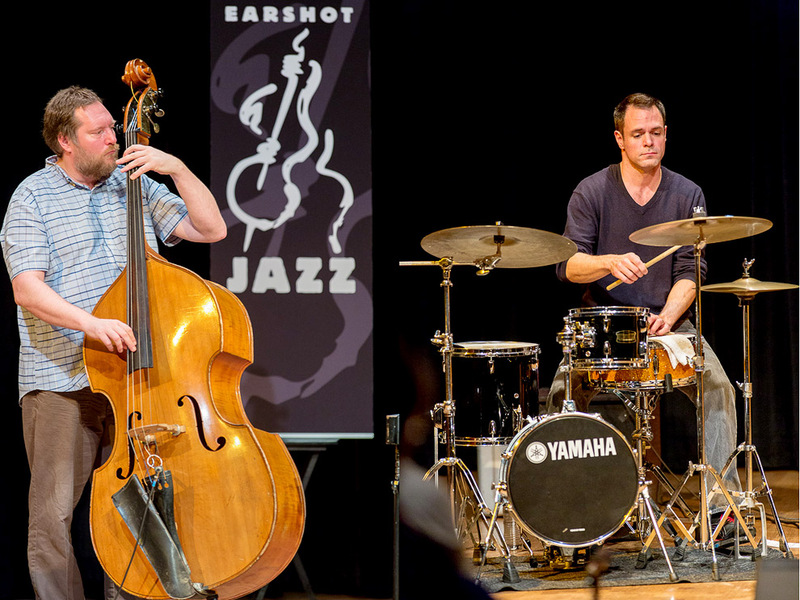 Here is a link to the Earshot Jazz Festival website schedule for the rest of the Festival. 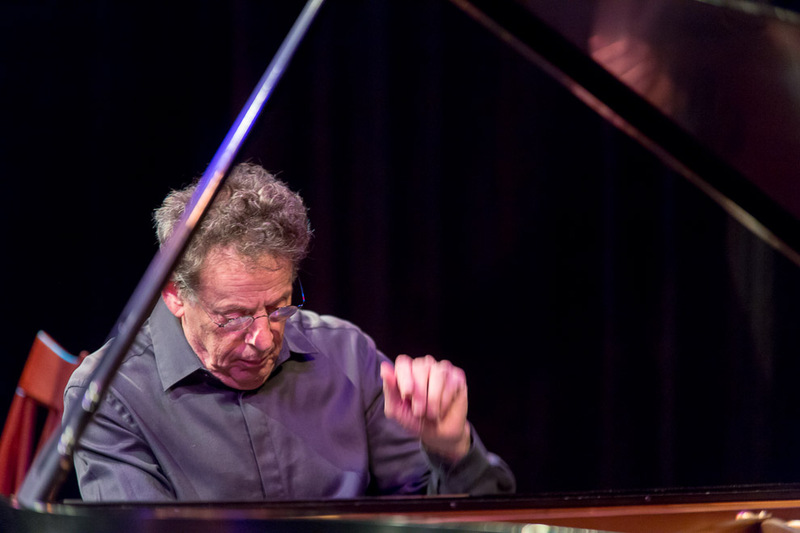 Sunday night Earshot Jazz presented Phillip Glass in concert at the KIRKLAND PERFORMANCE CENTER in a beautiful concert. 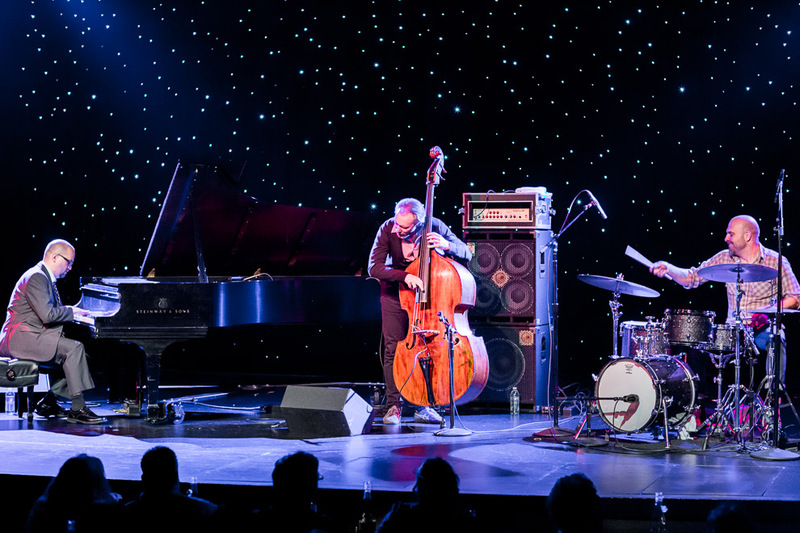 Sunday Night at the Triple Door Earshot Jazz presented one of my favorite groups The Bad Plus. 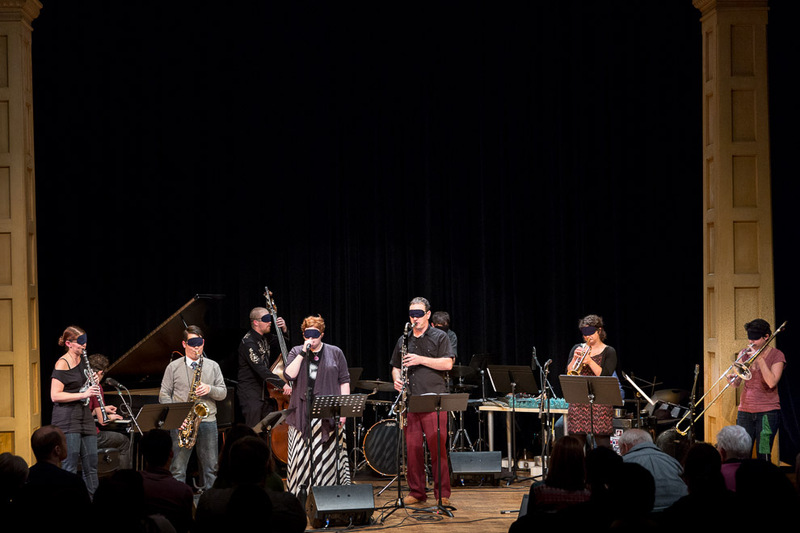 The were BAD. 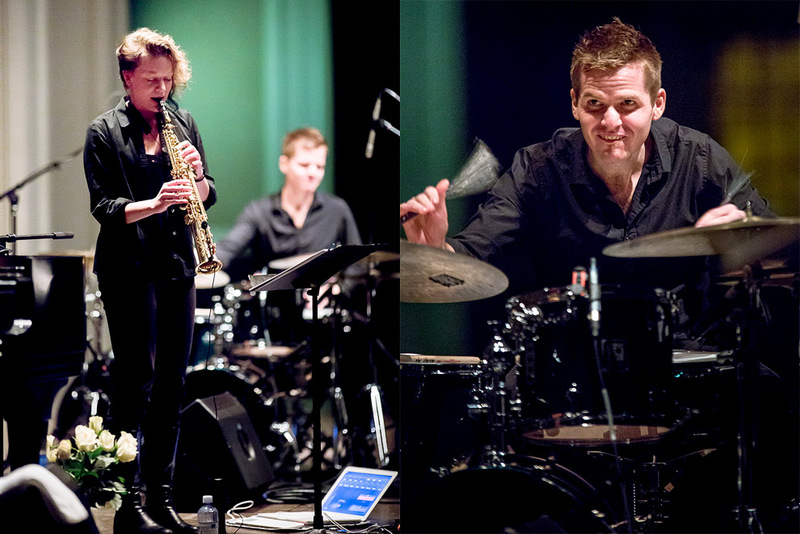 So intense and interesting to watch. 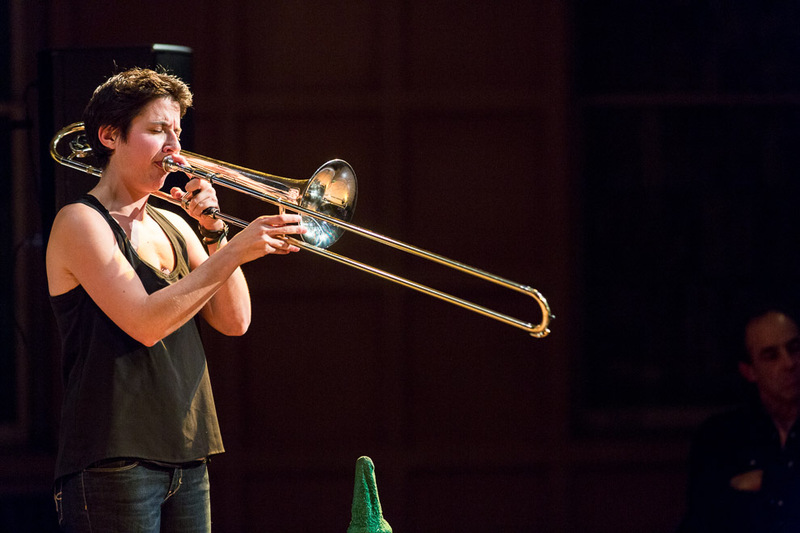 As badass as highbrow gets. 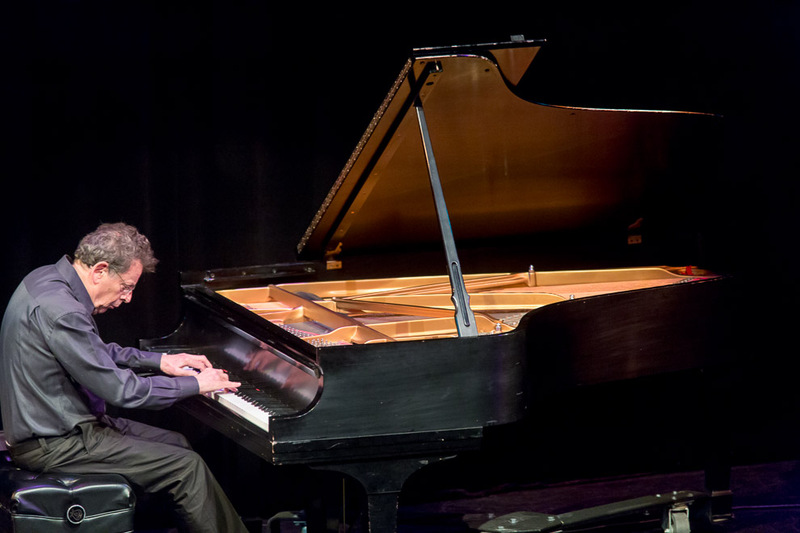 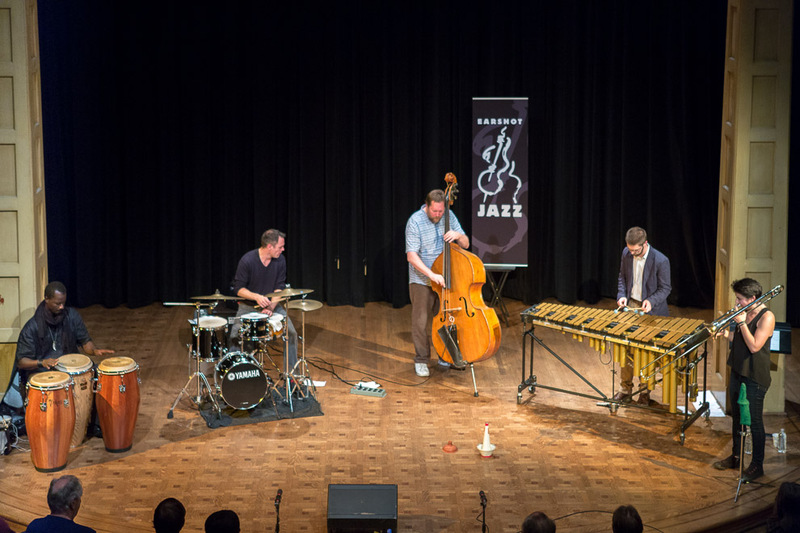 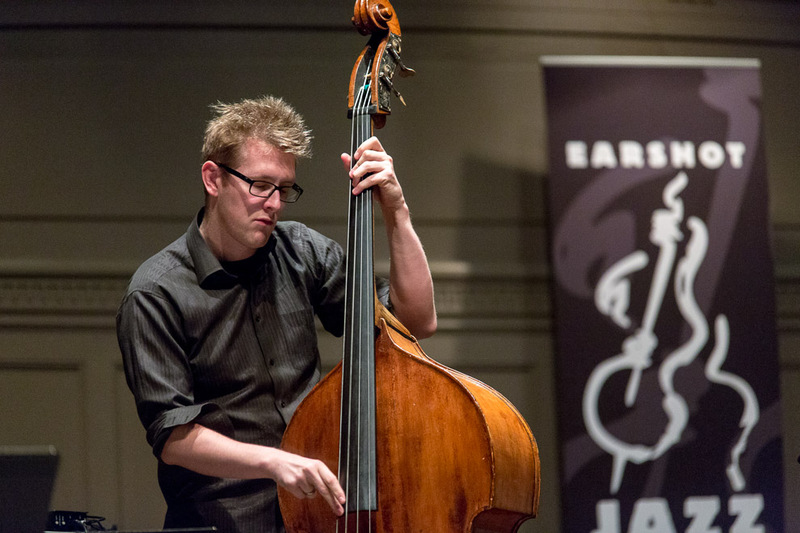 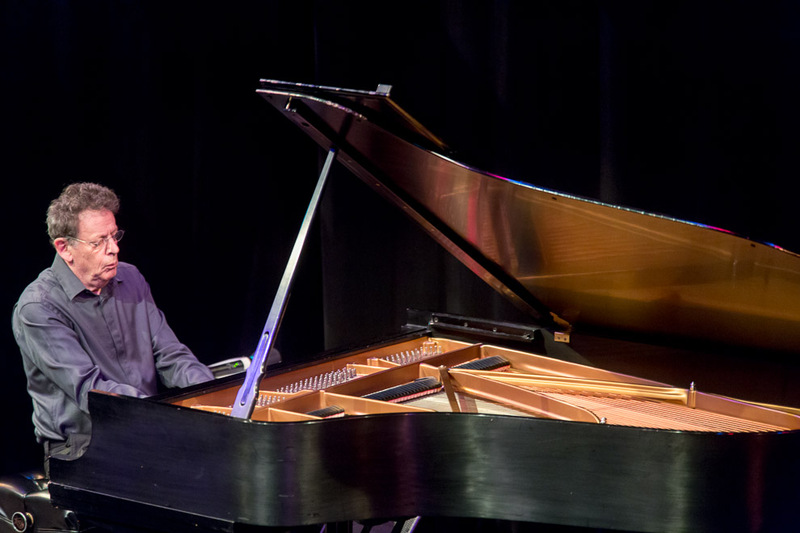 A rollicking and thought-provoking good time with the acclaimed Reid Anderson (bass), Ethan Iverson (piano) and Dave King (drums), who always go a leap ahead of the conventional piano trio. 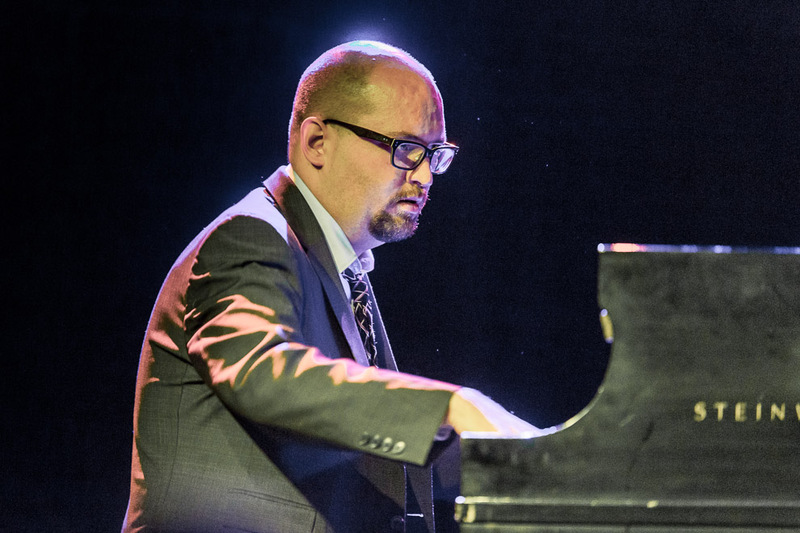 The Bad Plus has spent almost fifteen years redefining what a piano-bass-drums trio can be. 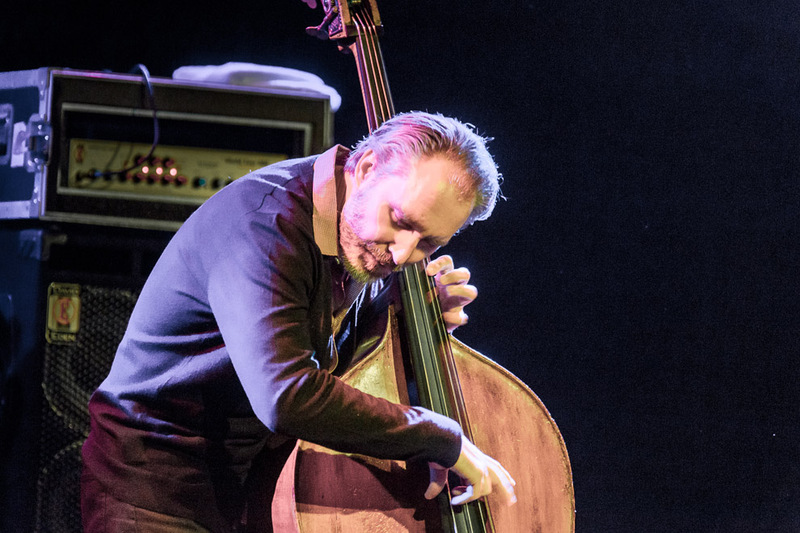 They’ve reached audiences of all demographic stripes with an uncompromising body of original music (plus some ingenious, genre-jumping covers) and dedicated touring around the globe. 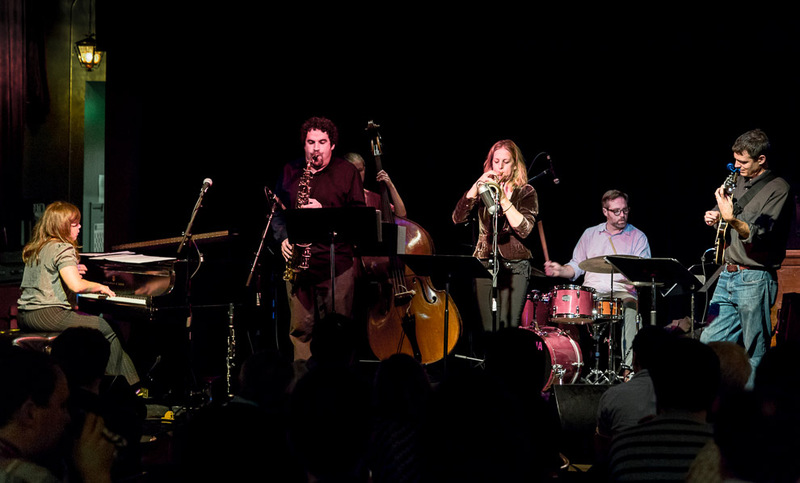 On their eighth studio album, Made Possible, they take their distinctive musical MO to captivating new heights, proving once again that the rules of musical convention are made to be broken. 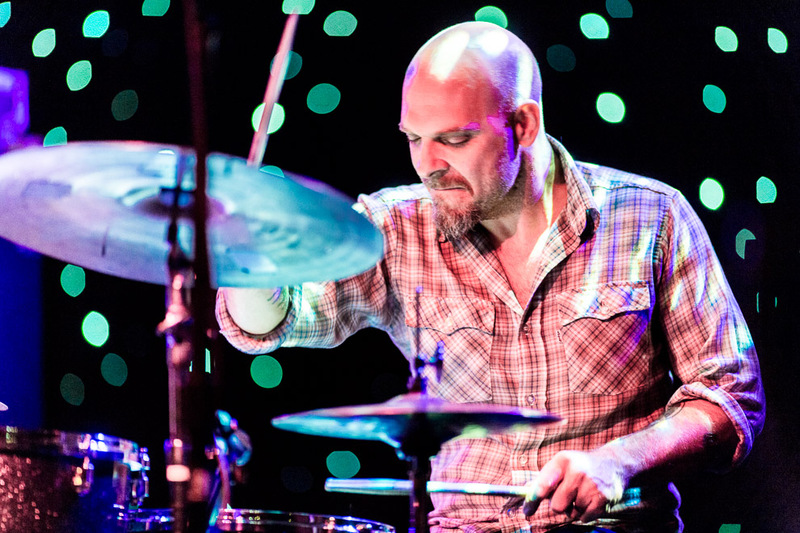 Throughout, The Bad Plus has held fast to a band ethos and belief in what the trio likes to call avantgarde populism (progressive, musically sophisticated ideas without the highbrow trappings). 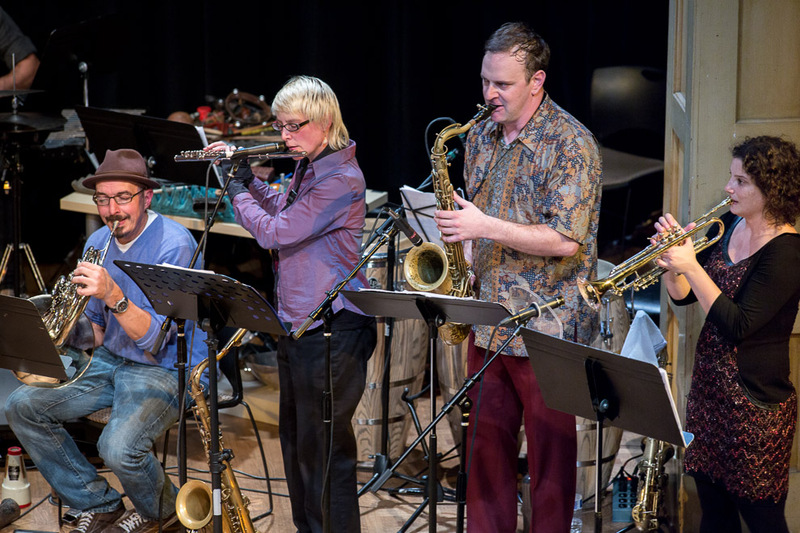 Made Possible is a vivid and convincing document of this passionate stance, loaded with genre-defying music that is at once complex, heartfelt and instantly engaging.